NEWPORT, RI (April 30, 2018) – BankNewport announced record results for 2017 at the annual meeting of OceanPoint Financial Partners (the “Company”), the mutual holding company of BankNewport and OceanPoint Insurance on Monday, April 23, 2018. At year-end, total assets increased to a record-high of $1.55 billion. BankNewport’s lending team originated a record $400 million in loans, including $111 million in mortgages and $189 million in commercial loans. The Bank’s loan portfolio grew to $1.2 billion and for the first time in the Bank’s history, commercial loan balances surpassed $600 million. BankNewport’s Retail and Business Banking Groups continued to be successful in growing deposits and in launching new products, services and technologies. Deposits grew $132 million to a record $1.26 billion, with 6,300 new deposit accounts opened. Strategic expansion in 2017 included the development of a new suite of cash management services for businesses, including Positive Pay and in-house Remote Deposit Capture for businesses. A new Premier Banking group was introduced, focused on developing customized solutions and personalized service to meet distinct customer needs and goals. Physical expansion of BankNewport locations included the opening of a new branch at Chapel View in Cranston, in addition to two new lending centers in Pawtucket and Cumberland, both staffed with residential and commercial lenders, as well as business banking professionals. Technology investments were made to provide customers with a convenient, accurate and secure banking experience. Significant year over year increases were realized with mobile deposits and on-line banking transactions of 35% and 31% respectively. Customers used their debit cards over 4.5 million times to purchase almost $190 million of products and services. EMV Chip technology, along with other new fraud prevention processes, provided card users with a much higher degree of security and fraud protection. Another important source of revenue contribution was from the OceanPoint Insurance Agency. Excluding contingency income, commissions reached $7.0 million due to new business growth and strong customer retention rates. In May 2017, the Agency acquired the Christopher and Regan Insurance Agency in North Kingstown, adding to its agency office locations in Middletown, Barrington, and Coventry. 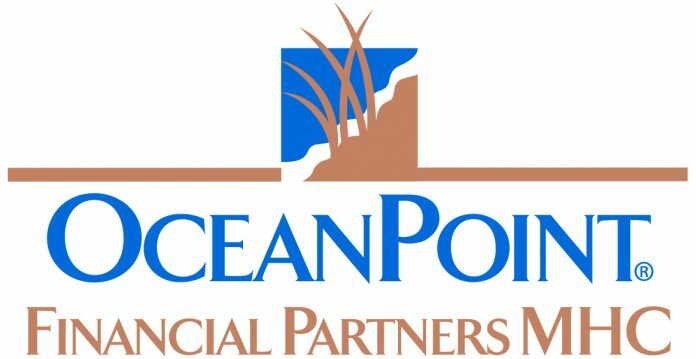 Sandra J. Pattie, president and chief executive officer of OceanPoint Financial Partners, MHC and BankNewport announced the public naming of the BankNewport/OceanPoint Charitable Fund. The Fund will provide the Bank with philanthropic resources to help nonprofits throughout Rhode Island. President Pattie recognized past and current Board members and management for their foresight and commitment to establishing this Fund at the Rhode Island Foundation. President Sandra Pattie also announced the appointment of six new BankNewport Corporators: David F. Campbell, Jr. of North Smithfield, Crista F. Durand of Newport, Matthew Fair of Saunderstown, John M. Harpootian, Esq. of West Warwick, Dale J. Venturini of Cranston, and Jennifer M. West of Portsmouth. Corporators play an essential role in promoting the mission and vision of a mutual community bank. They are ambassadors that represent the communities served by BankNewport and OceanPoint Insurance. OceanPoint Financial Partners, headquartered in Newport, Rhode Island, is a Mutual Holding Company. Through BankNewport and OceanPoint Insurance Agency, Inc., the Company is proud to serve the financial and insurance needs of families and businesses from 15 full-service banking offices and four full-service insurance offices located throughout Rhode Island.